Home Food Make It Yourself! Best Vanilla Cupcakes! 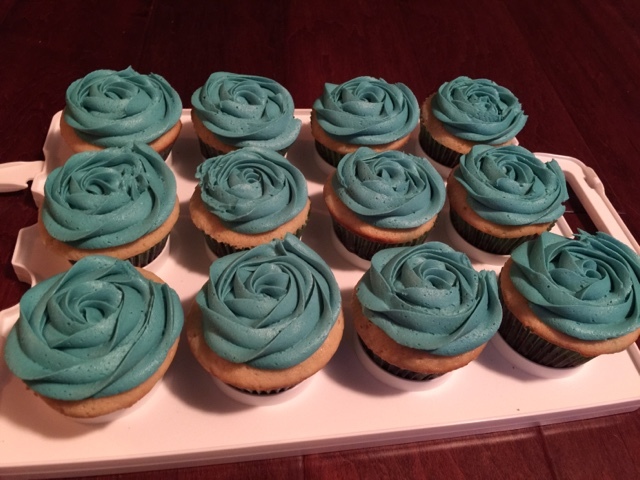 For my sons 4th birthday he wanted to bring vanilla cupcakes with blue frosting to school. In the past I have tried about 3 recipes for vanilla cupcakes and they have either been too dense, too sweet or just not as good as the 'box'. This time I hit the nail on the head! 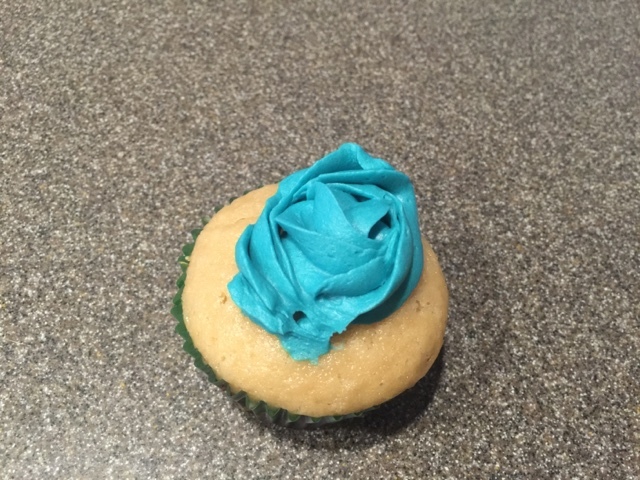 My hubby finally said this cupcake recipe was better than the box! I found the recipe on this website called hub pages or you can find the original post here. I added an extra 1/4 c of 2% milk otherwise I followed her instructions and they turned out great! Bake at 350f for 15-18 mins. 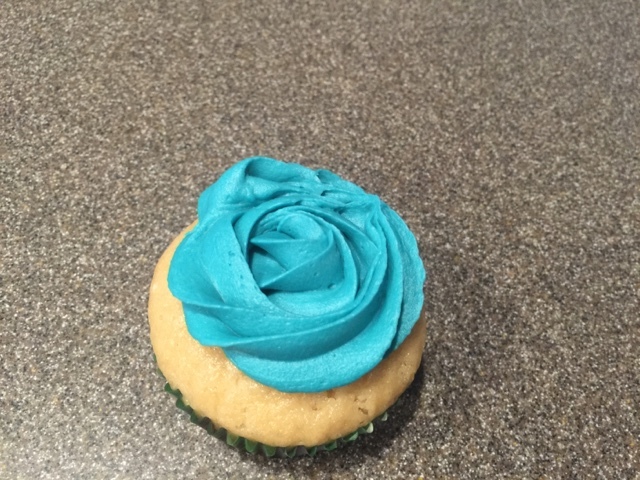 I made a buttercream frosting, added 2 drops of blue food gel and piped it on top. I felt like making them 'fancy' so I did a rosette. The rosette is really easy you just start in the middle then circle around until you reach the outside edge. My son thought they were so pretty and couldn't wait to bring them to school to show his teacher and friends.